Summer is a time for fun vacations and outings with family and friends. 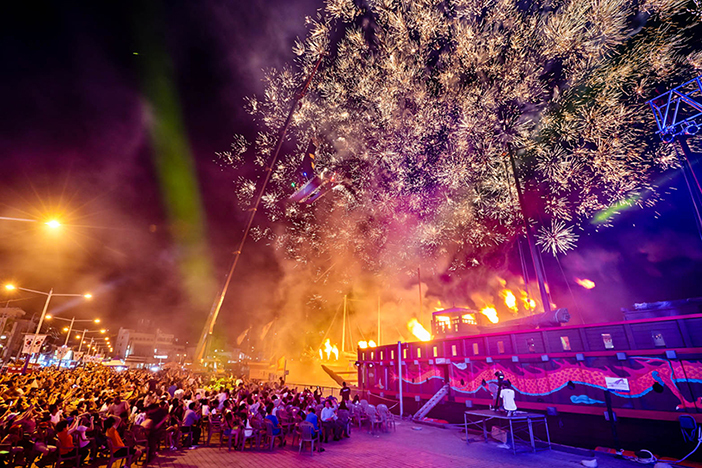 Wherever one’s destination in Korea may be, check out some of these fascinating summer festivals to help you forget the scorching heat. For summer activities, the best of the best includes beach festivals like Boryeong Mud Festival in July, and Busan Sea Festival in August. 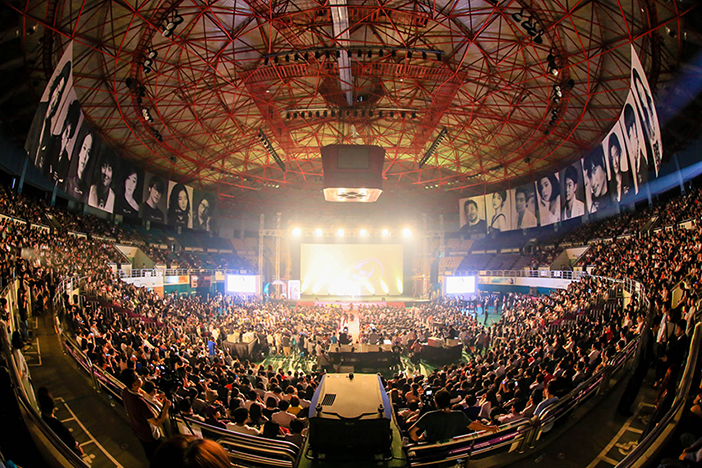 There are also cultural festivals like Bucheon International Fantastic Film Festival, where one can watch fantasy movies all night long; Incheon Pentaport Rock Festival, with performances by internationally famous rock musicians; and Gangjin Celadon Festival, which features a variety of ancient ceramics. With so many great festivals to choose from, it’s easy to find many ways to enjoy your summer in Korea. Description: The Buyeo Seodong Lotus Festival is held at Gungnamji, the first man-made pond in the nation. The most popular event at the festival is the performance showcasing the love story between Prince Seodong (King Muwang’s childhood name) and Princess Seonhwa. 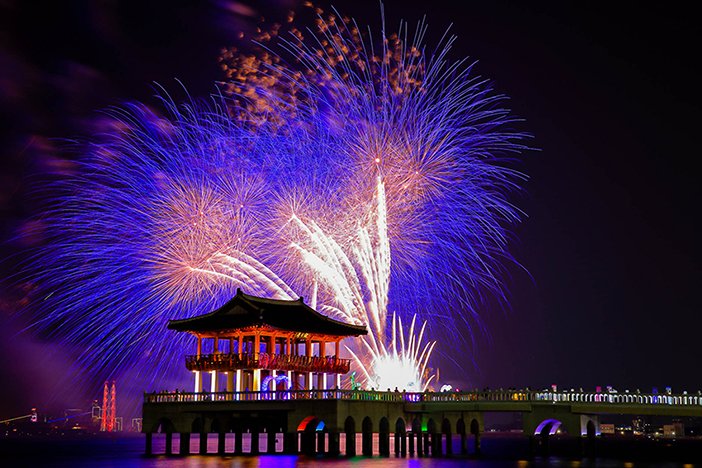 This year’s festival will feature LED illuminations and sculptures for beautiful photos. Other programs include lotus face-painting, drinking lotus tea, making lotus soap, and a variety of other hands-on events for all to enjoy. Venues: Bucheon City Hall, CGV Bucheon, CGV Bucheon Station, etc. Description: Enjoy nights filled with movies and free-style conversations with directors at this unique film festival. Bucheon International Film Festival screens movies from all over the world and from a variety of genres, including horror, mystery, thriller, and sci-fi. Description: At the Boryeong Mud Festival, visitors jump in a huge pool of mud for more than just fun, as Boryeong mud is well-known for its excellent quality and efficacy. 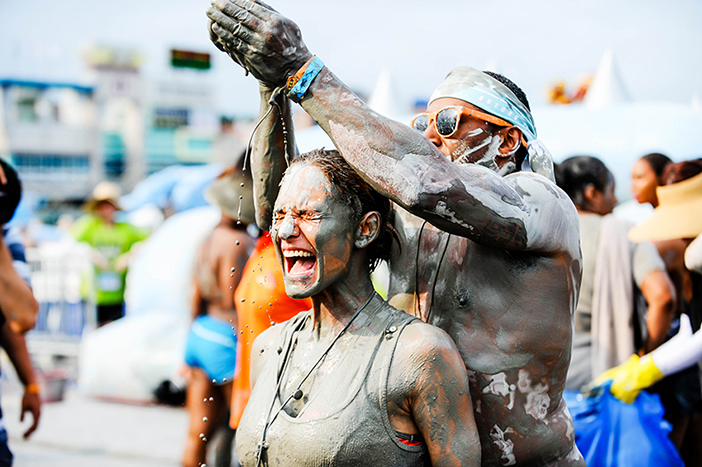 This fun, action-packed festival is popular among local and international visitors because it offers various programs such as the mud massage pack, colored-mud body painting, and mud soap-making. 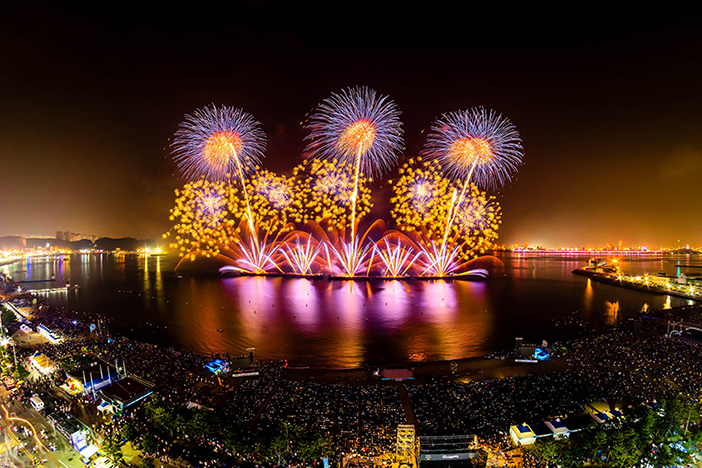 Description: The Pohang International Fireworks Festival offers fantastic views of the night ocean as it is lit up by fireworks made by representative teams from different countries during the international fireworks contest. Among the many festival activities and events, festival highlights include the light parade, live beach concert, and light art contest. Description: This unique festival has its foundations in the waters of the Tamjingang River and Jangheung Multipurpose Dam in Jangheung. The festival teaches the value of water for the environment, humans, and energy in many ways through exhibits, films, and hands-on programs. 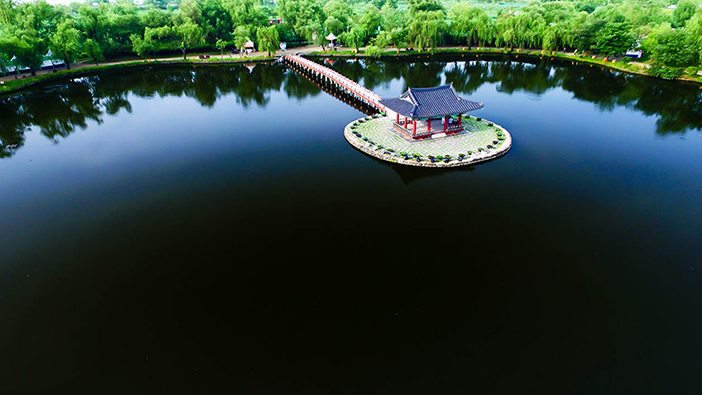 Exciting summer water programs such as a natural medicinal herb bath, water slides, water cycling, and bare-handed fishing are popular among visitors. 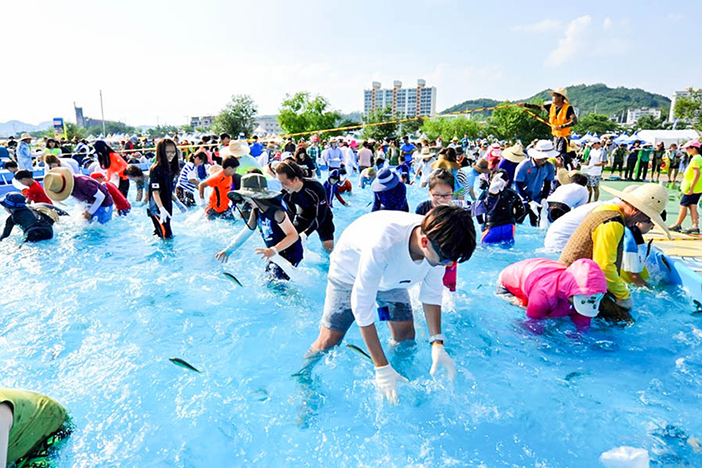 Description: This festival is held in the pure waters of Naeseongcheon Stream in Bonghwa-gun. The main programs are catching sweet fish with a net or with just one’s bare hands, and sweet fish-related exhibits. Sweet fish are small freshwater fish with a light watermelon smell. 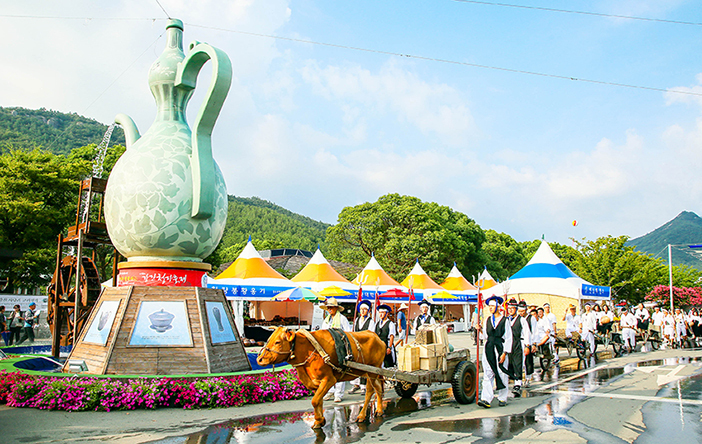 Description: This festival is held in Gangjin, the largest production site of celadon in Korea from the 8th to the 14th century. Visitors can not only gain a deeper appreciation of Korean celadon’s impact on the global art community, but also have a chance to make their own pottery, an activity that is popular among local and international visitors alike. Description: The Busan Sea Festival is a huge event that combines several events and festivals, such as a rock music festival, a beach dance festival, and a number of water sports. Take some time to relax and sunbathe on the beach before enjoying the many events available at each beach. * Two Girls’ Bucket List for Busan! 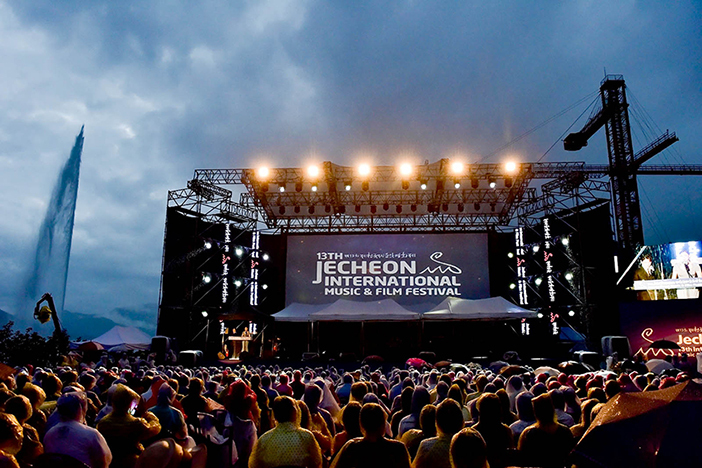 Description: The Jecheon International Music & Film Festival showcases films with a music theme. The opening movie is chosen among those that best represent the festival’s theme, while the closing movie is the winner of the World Music Film Today category. In addition to watching several recent music films, various types of musicians will perform on stage. Description: The Tongyeong Great Battle of Hansan Festival is held to commemorate the patriotism of Admiral Yi Sun-sin (1545-1598), who led his people to victory during the Imjin War (1592-1598). The festival features exhibitions related to Yi Sun-sin, as well as ocean sports and hands-on experiences such as making models of geobukseon (iron-clad turtle ship built by Admiral Yi during the Imjin War) and arrows. 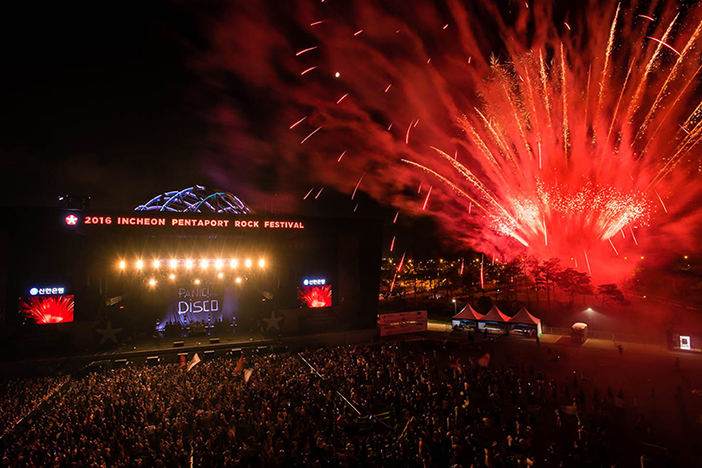 Description: Incheon Pentaport Rock Festival is a must-visit for rock fans. This annual festival invites famous rock artists from Korea and overseas to perform on the large outdoor stage. In addition to listening to the music, concert-goers will enjoy the many off-stage events like flash mobs taking place. The festival is especially popular among people in their 20’s and 30’s. Artists coming this year include Nine Inch Nails, Mike Shinoda, The Bloddy Beetroots, Suchmos, THE KOXX, and many more. * This column was last updated in May 2018, and therefore information may differ from what is presented here. We advise you to check details before visiting.